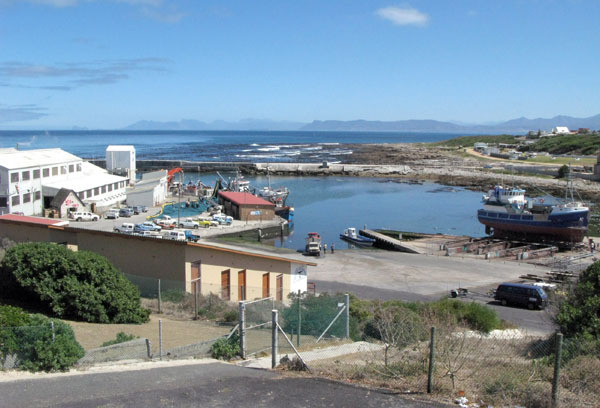 If you have just come across this post then I would suggest that you first have a look at the post called Hermanus 1 as it gives a bit of background to the town and covers most of the touristy places situated round the Old Harbour – sort of what you would see if you only had a few hours to explore Hermanus. 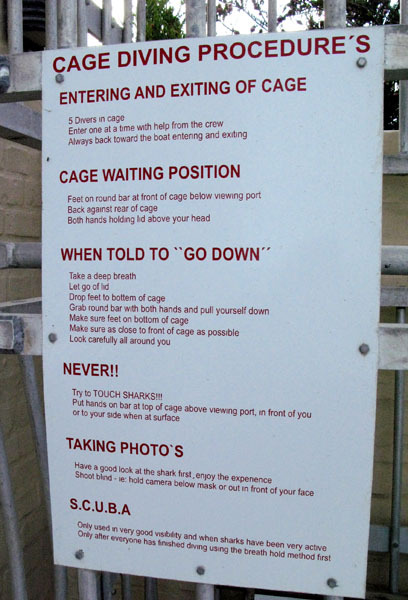 This latest post carries on from there. 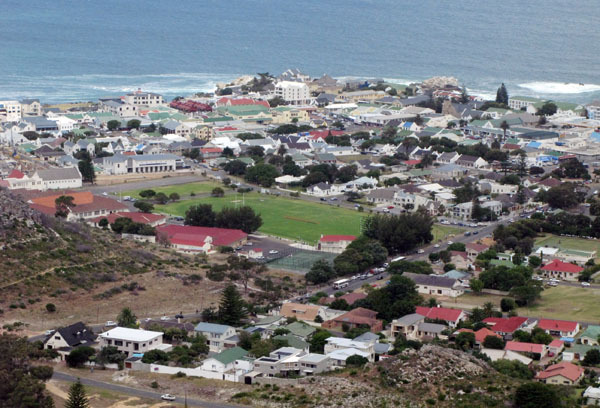 View of Hermanus looking toward the centre of town. 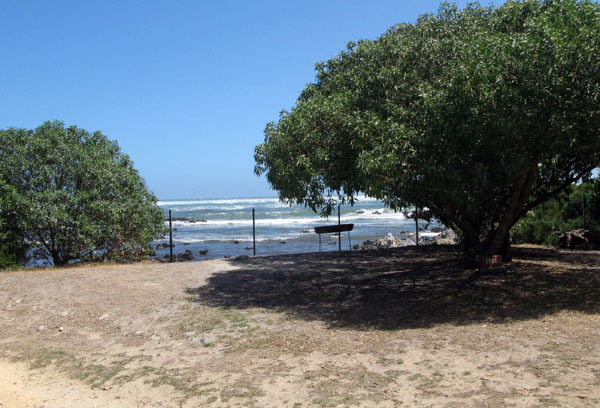 Looking east towards the lagoon. 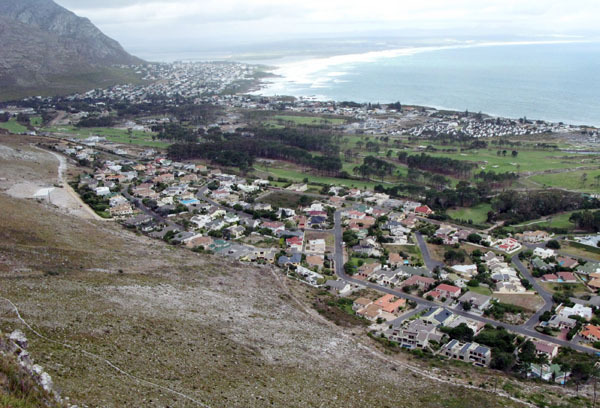 Both the above photographs are taken from the mountains overlooking Hermanus. 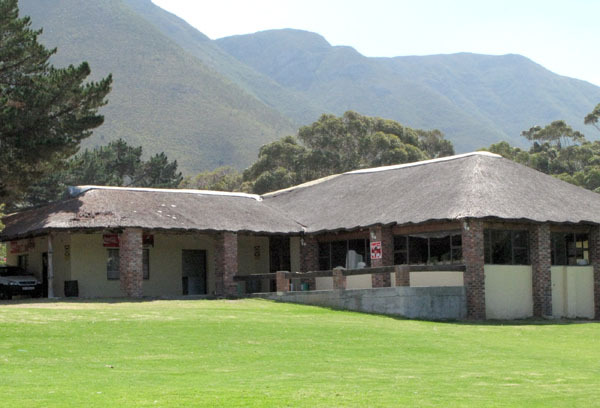 When the right winds are blowing these mountains provide the launch pad for some of the best para and hang-gliding in the Cape. 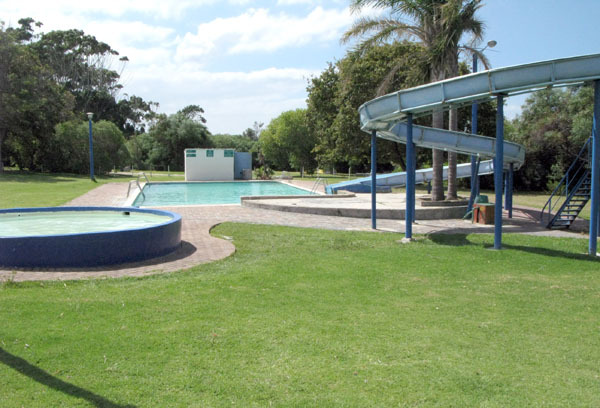 Rotary Drive provides easy access to the launching site which is more or less in line with the golf course and high school grounds. 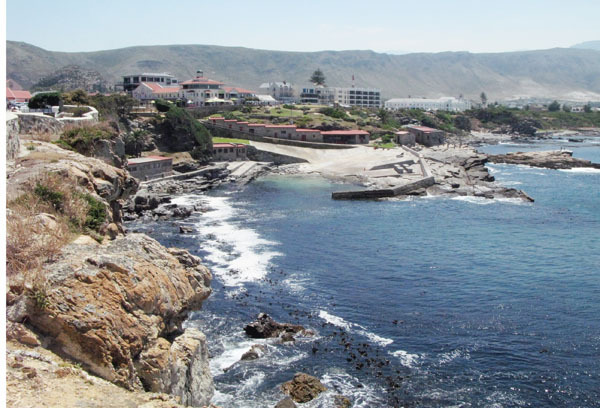 Hermanus is recognised as having some of the most beautiful beaches in South Africa. 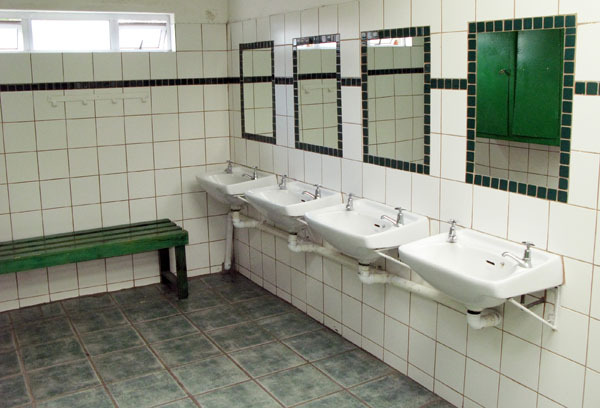 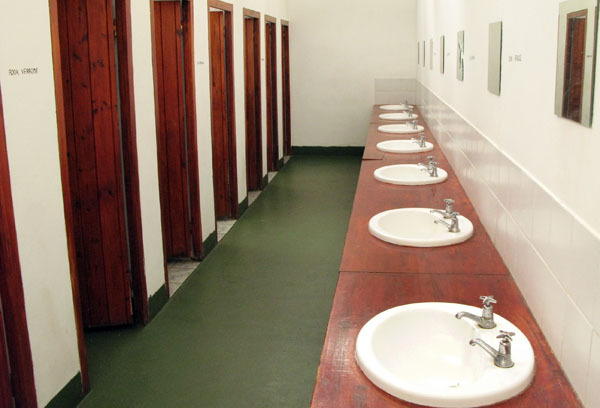 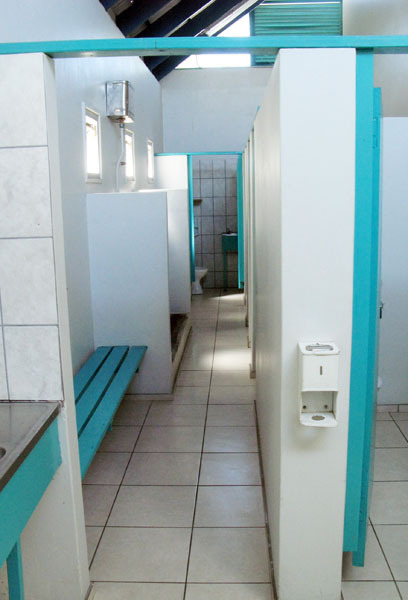 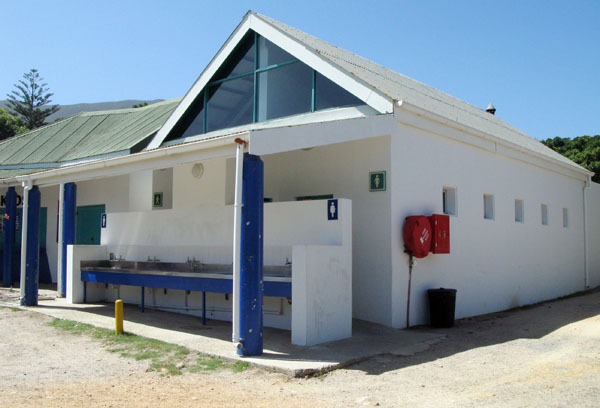 A section Of Grotto now boasts Blue Flag status offering visitors facilities that include lifesavers, security guards and spotless cloakrooms. 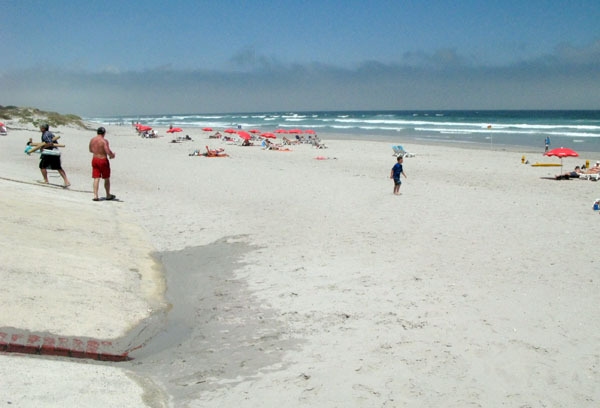 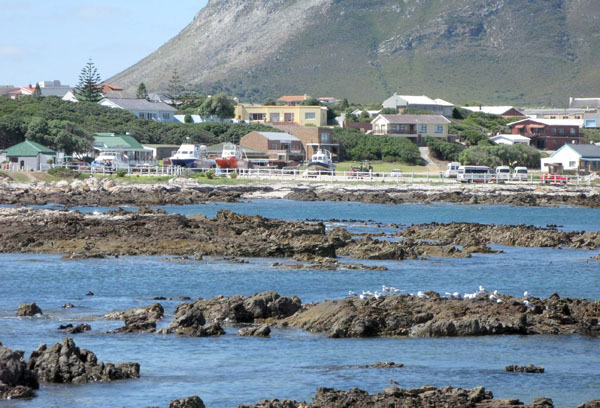 The beach stretches all the way to the little town of De Kelders – a solid 5 hour walk. 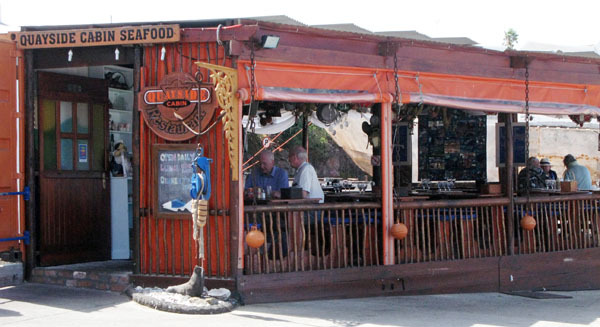 There is also a great sea-food restaurant right at the beach. 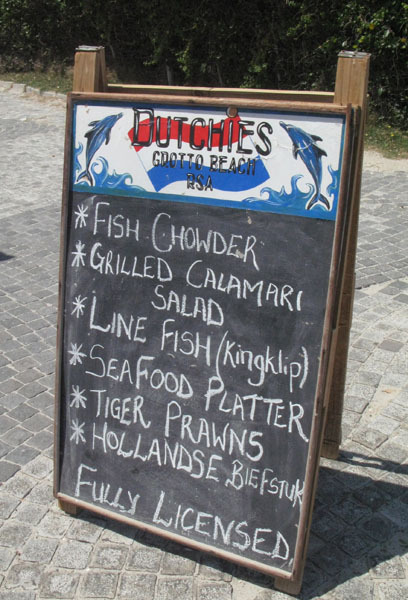 Just to give you an idea of the menu. 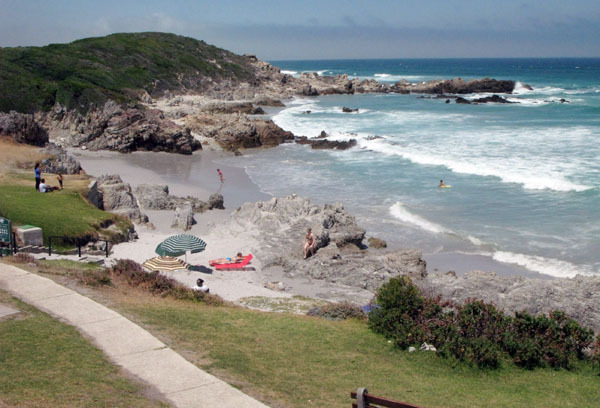 About a kilometre from Grotto towards town is the grassed and terraced Voelklip Beach which is the in place for the younger set with some good waves for surfing. 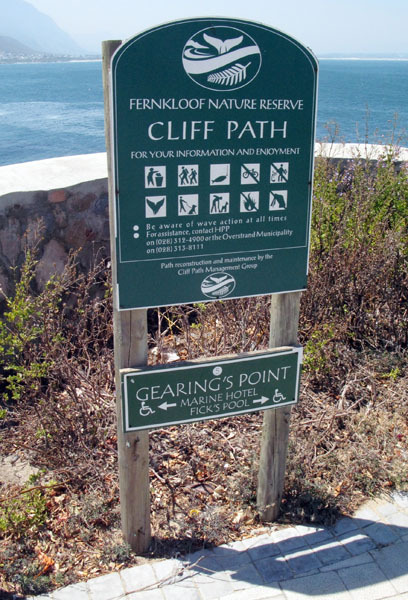 There are many walks for those keen on hiking and you can choose from beach, coast or mountain routes. 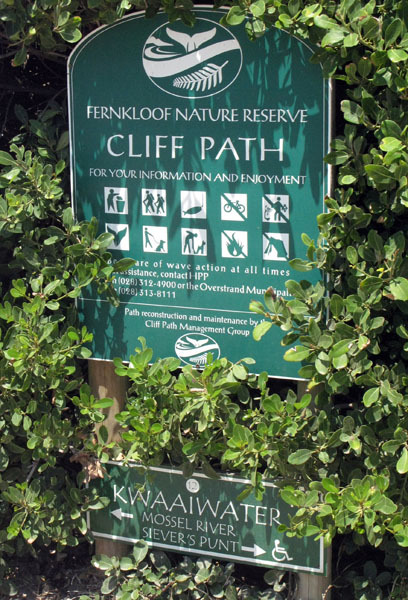 Fernkloof offers several different grades of walk and the area is covered in spectacular fynbos. 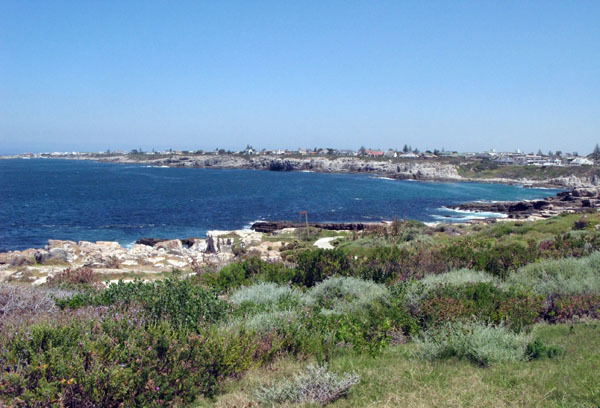 This path is about 10 kilometres long and basically runs the full length of Hermanus from the New Harbour to the lagoon. 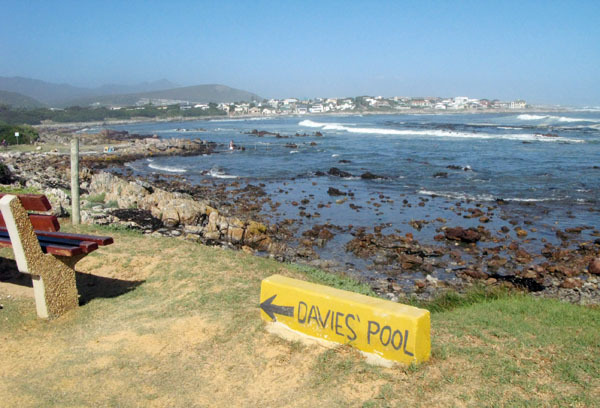 The section from Fick’s Pool to Tamatiebank has recently been upgraded to accommodate wheelchairs and during the season is a wonderful walk to take and spot the whales in Walker Bay. 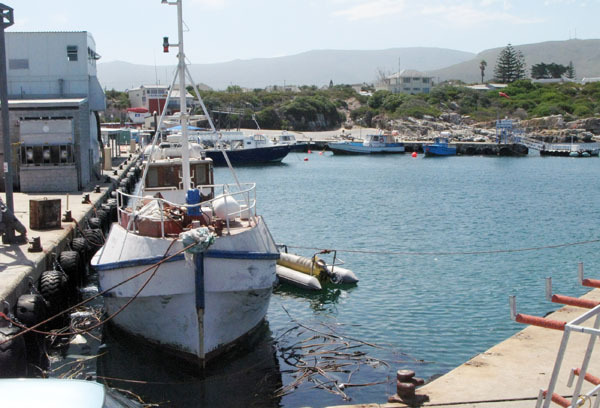 Looking across from near the Old Harbour towards the New Harbour. 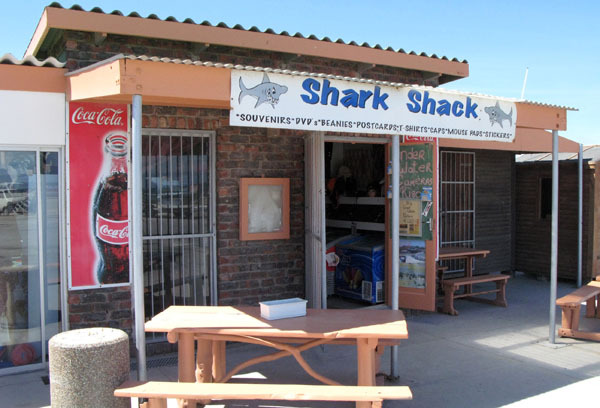 Not difficult to tell what the main tourist attraction is in Hermanus. 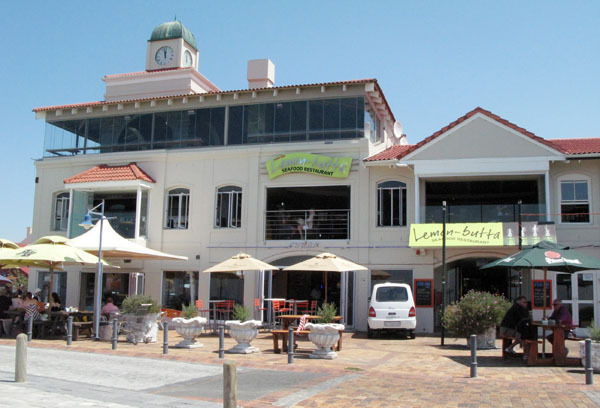 One of the two very popular restaurants situated in the New Harbour. 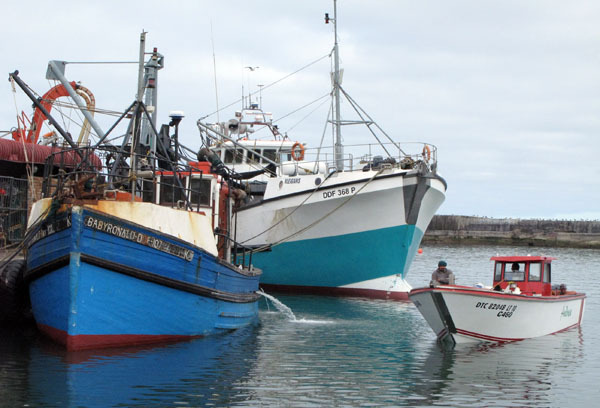 As a working harbour fishing trawlers are often moored along side the quay. 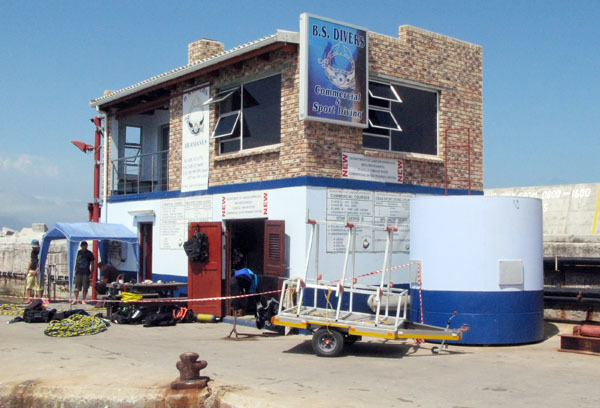 Divers training school in the New Harbour. 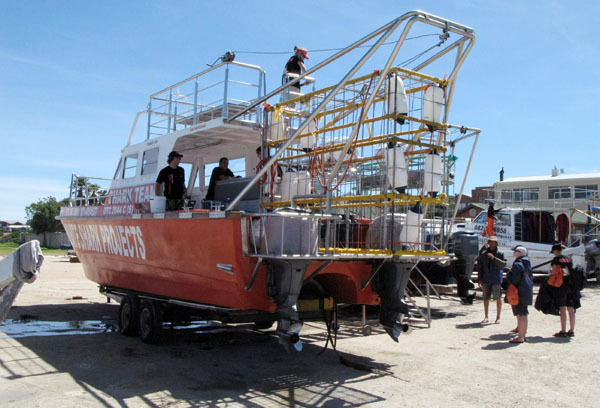 Bombs away. 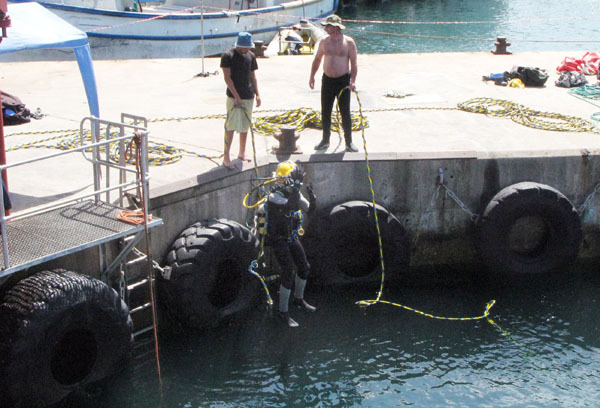 The water here is pretty deep. 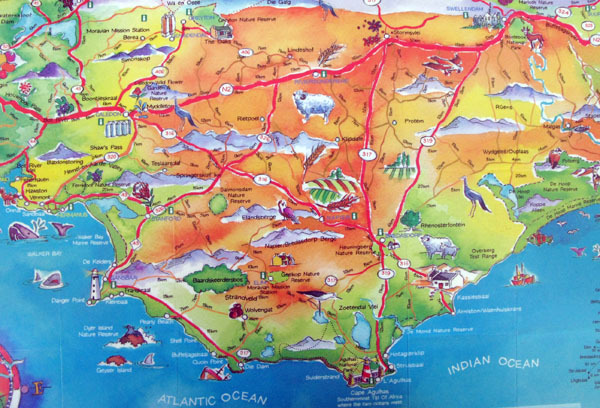 There are really a huge amount of things to do in Hermanus and I am sure I have just scratched the surface. 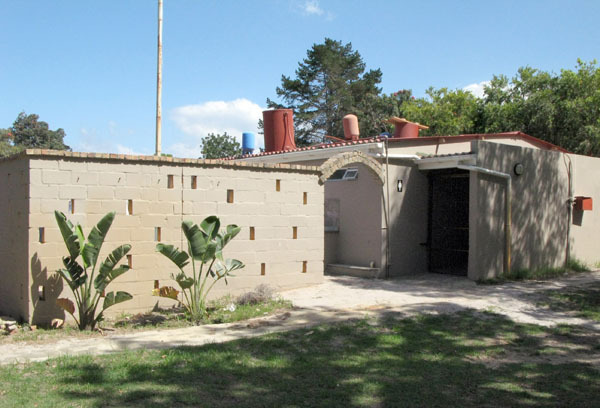 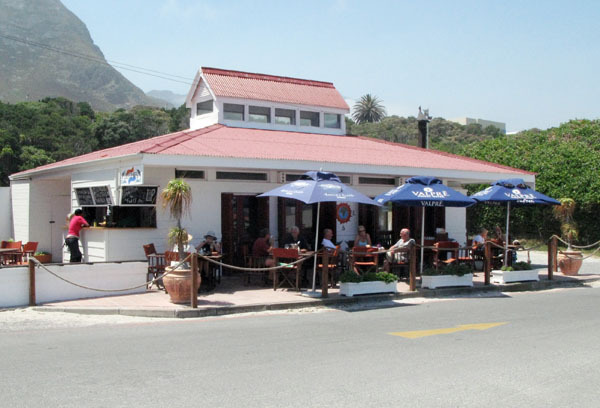 Apart from everything I have mentioned there is an excellent golf course, bowls, fishing, surfing, birding – which is becoming the fastest growing eco-tourist commodity in the world – arts and crafts, whale festival, kaliefees, wine tasting, sailing and boating, fly fishing and diving just to mention some. 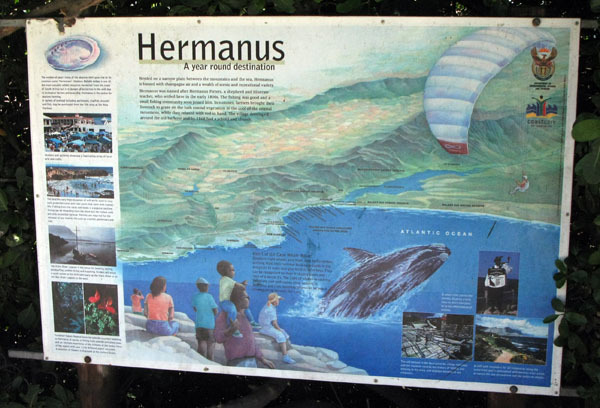 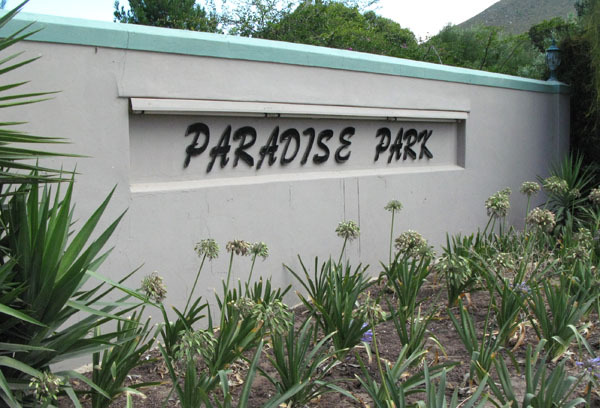 Hermanus was originally named Hermanuspieterfontein after an itinerant teacher from the 1830’s who grazed sheep near a fresh water spring in what is now Westcliff. 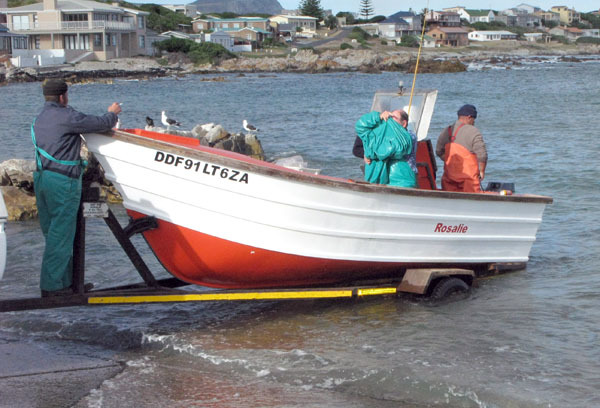 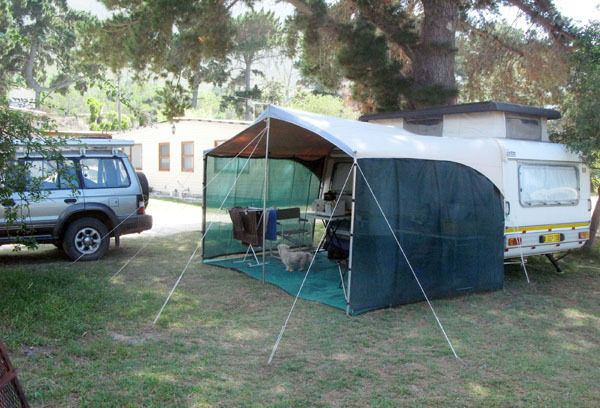 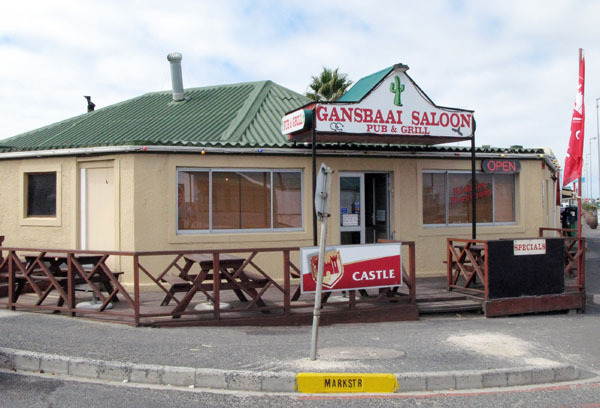 Fishermen from Hawston started to settle here more than 150 years ago but the town gradually became known as a holiday resort and grew into the main coastal centre of the Overberg. 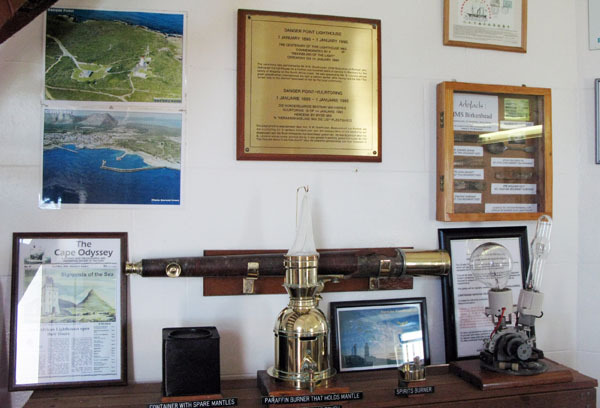 I am going to do 2 posts on Hermanus as there is a lot to see and do there and I have taken a lot of photos which I hope you find interesting. 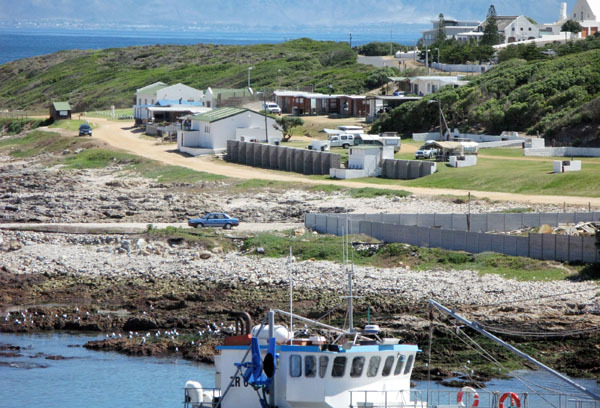 I first started going to Hermanus about 45 years ago and boy has it changed over the years in comparison to a place such as Arniston which is further east along the coast . 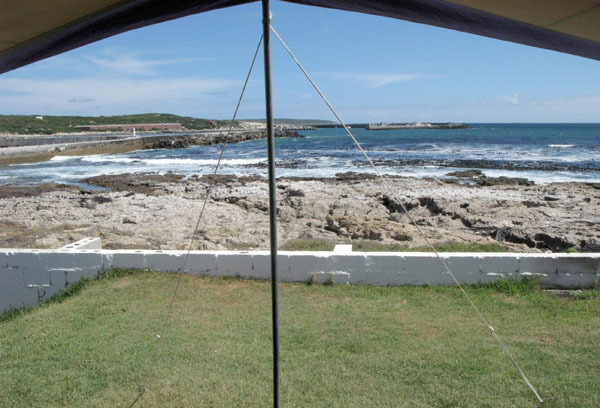 In those days Hermanus and Arniston had the same kind of feel – holiday, fishing village, sea side places, although Hermanus was even then quite a bit larger than Arniston. 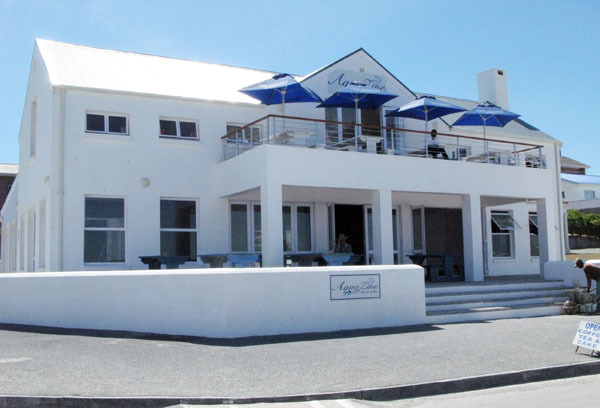 Now days Hermanus is a bustling, much larger and more modern town and for me has lost much of the charm that still exists at Arniston. 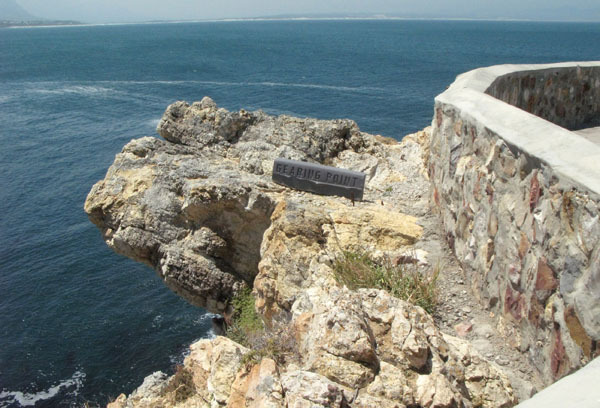 View of the old harbour from Gearing’s Point. 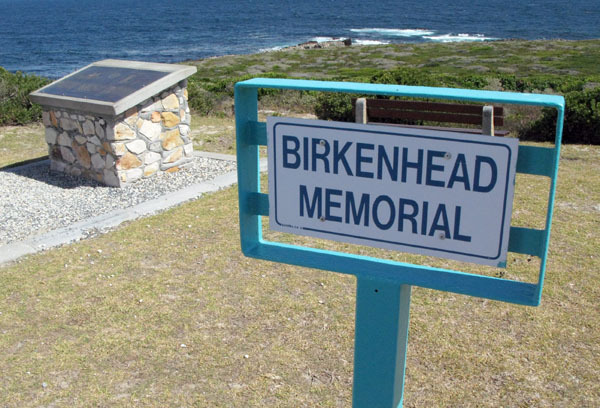 Monument housing the roll of honour for those from the area who perished in the 1st and 2nd World wars. 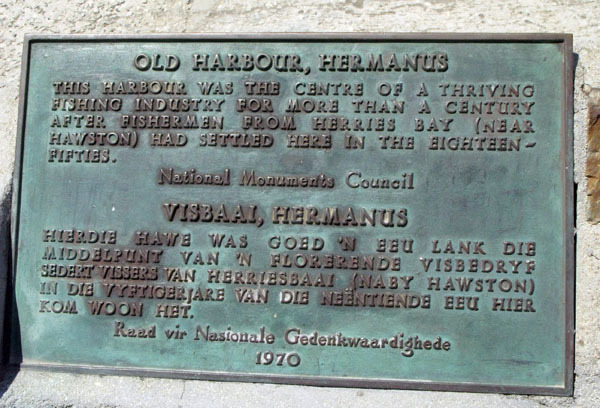 Plaque for the Old Harbour which was for many years the centre of a thriving fishing industry. 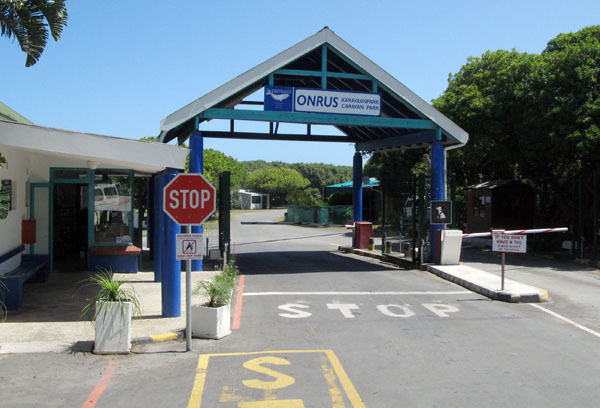 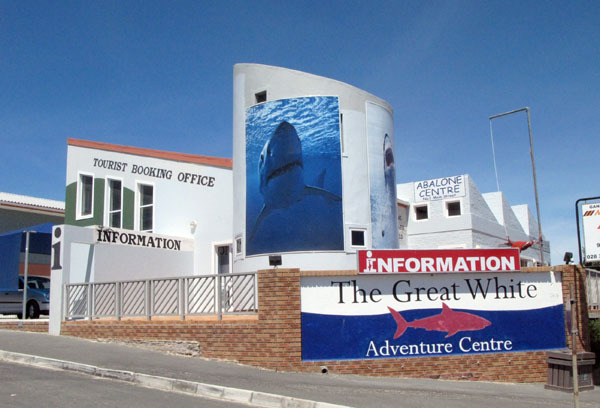 Hermanus now has a vibrant tourism industry, boasts a large number of art galleries and restaurants and is, amongst others, home to an annual whale festival in September. 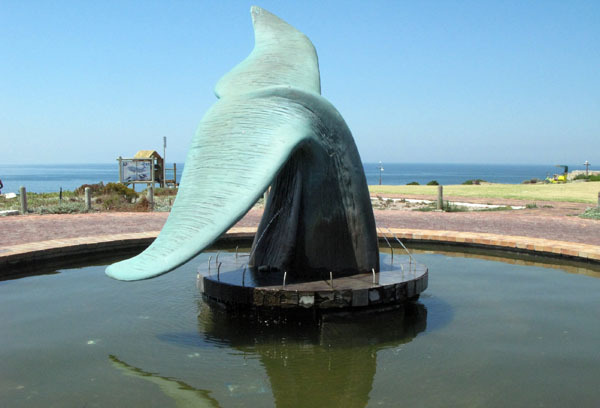 From June to November, especially the area around the Old Harbour and Gearing’s Point offers excellent opportunities for watching whales which often come to within meters of the rocks. 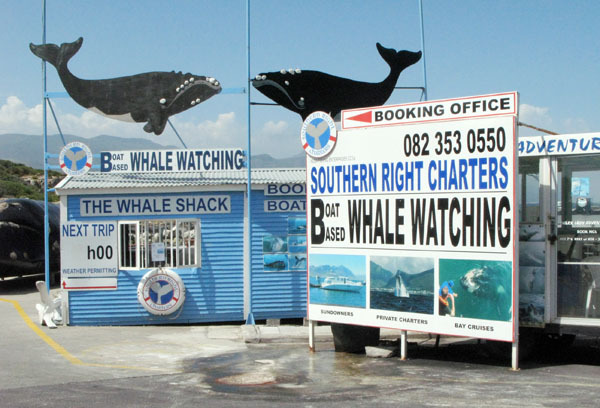 Gearing’s Point which is ideal spot for whale watching in season. 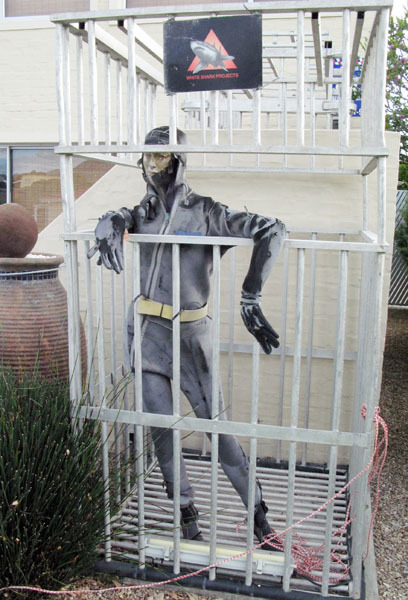 Unfortunately I was there at the wrong time of the year so this statue had to make do. 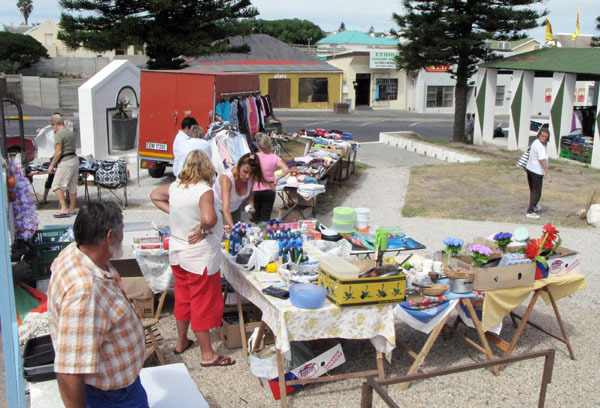 One of the stalls at the thriving open air market. 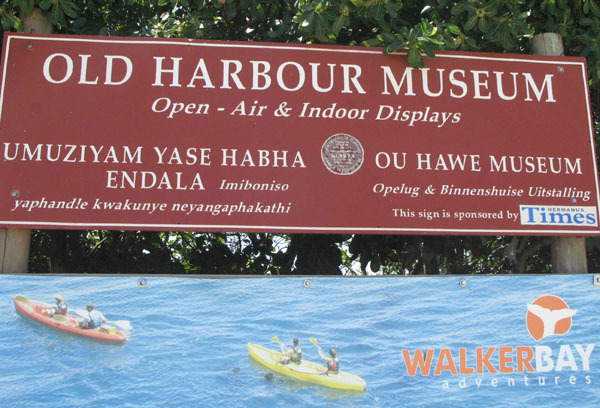 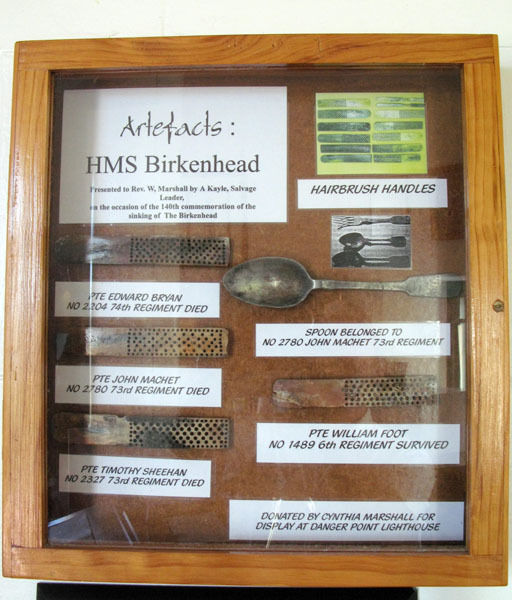 There are 3 museums in the Old Harbour area and 1 ticket gets you into all 3. 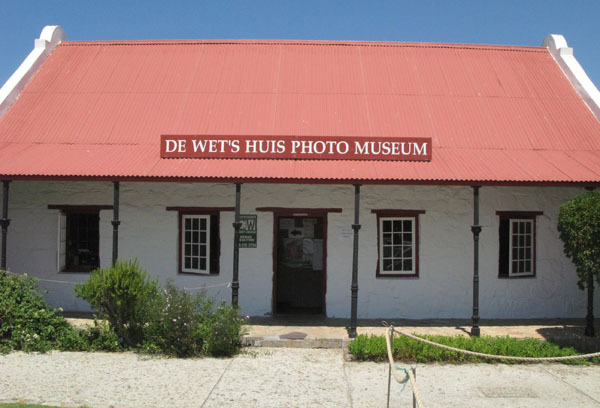 Another of the 3 museums. 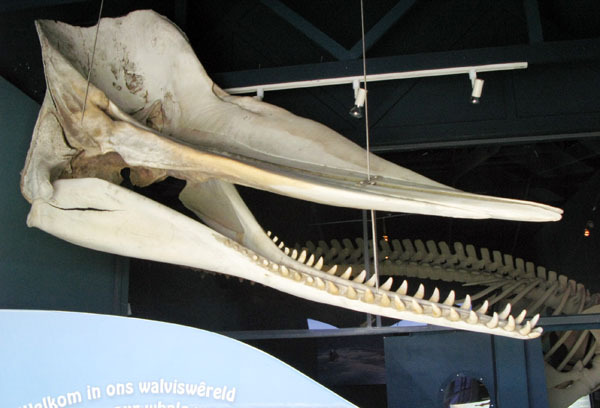 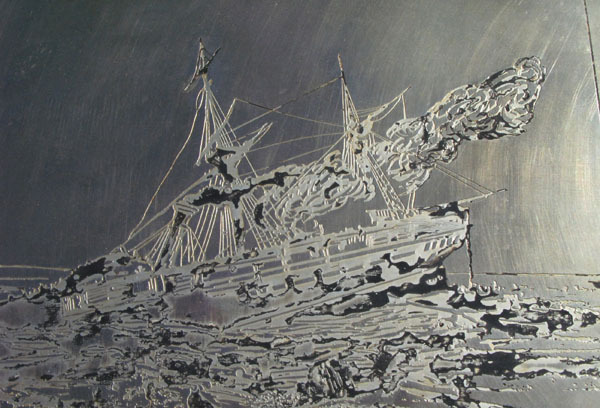 Part of a whale skeleton at the entrance to the Whale Museum. 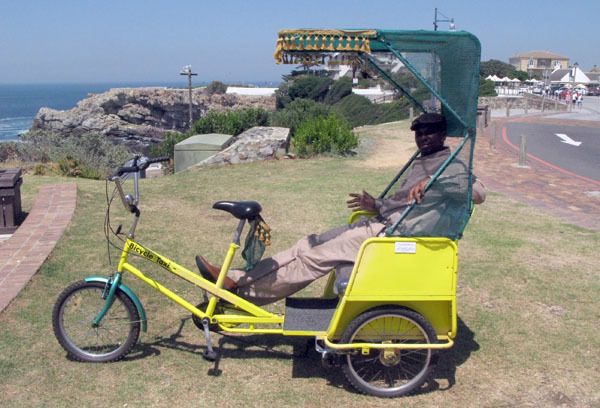 You can hire this guy to give you a guided tour. 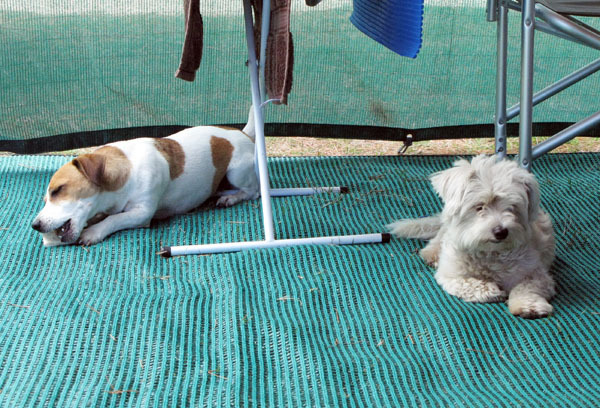 It was a really hot day and business was slow so he was having a break. 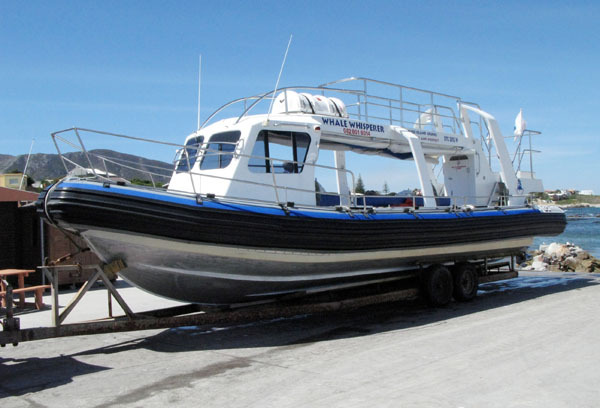 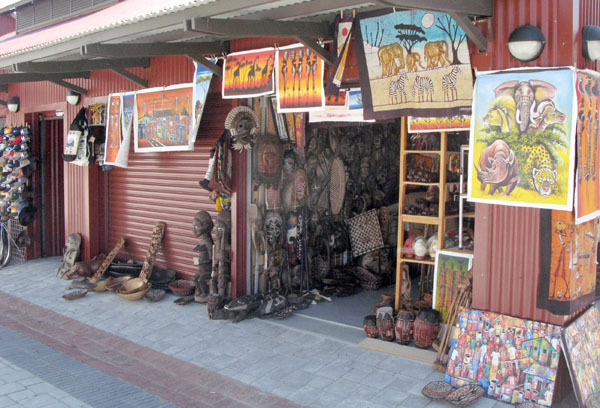 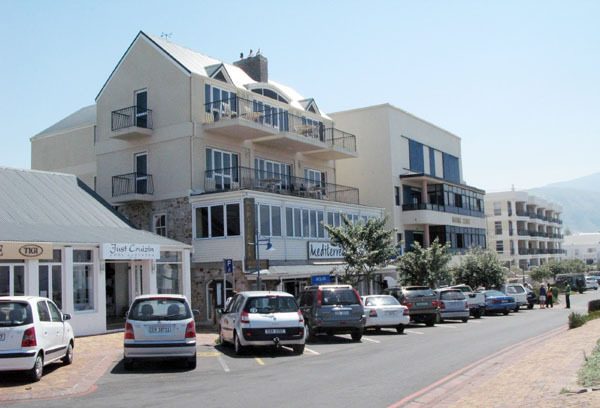 Most of the action takes place around the Old Harbour area and that is where you find all the great restaurants, art galleries and curio shops that Hermanus is well known for. 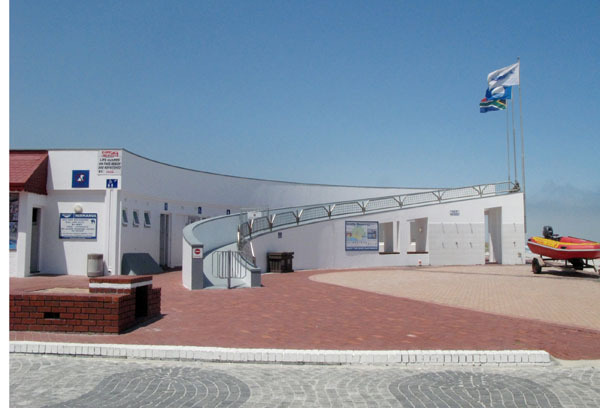 Part of the main tourist area. 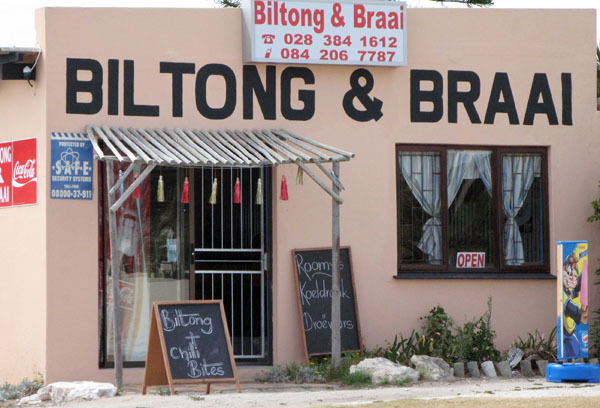 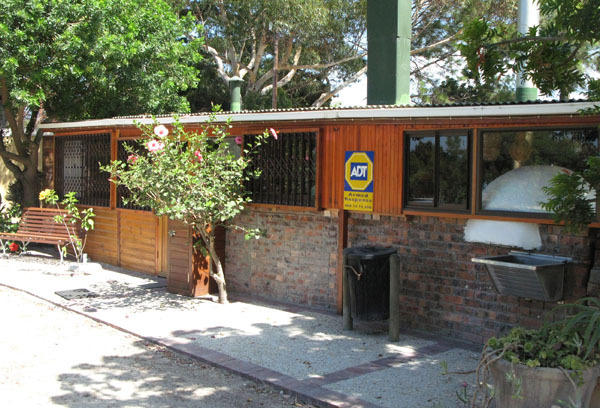 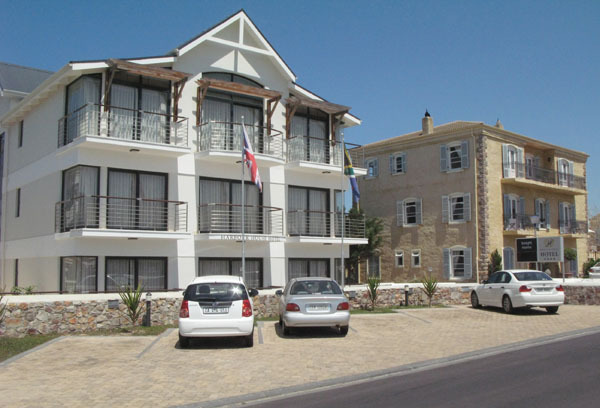 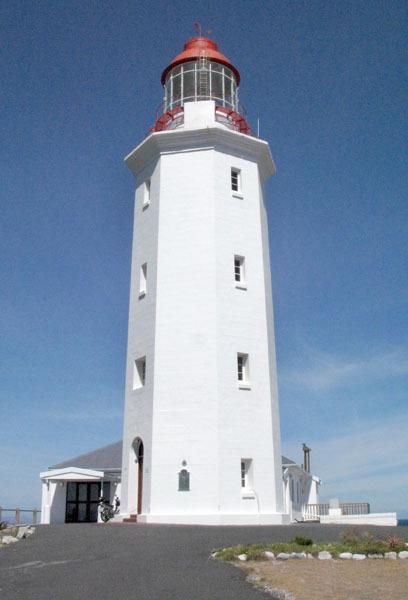 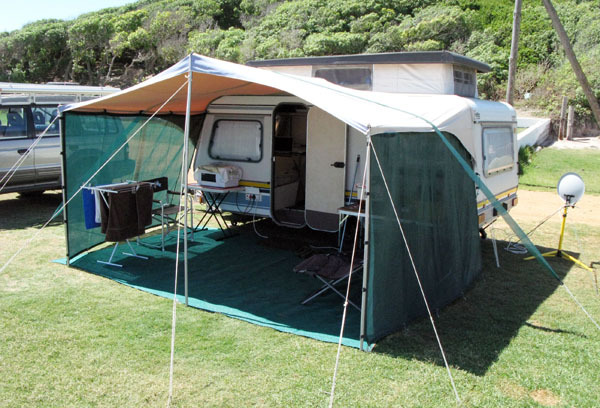 There are also many hotels and B&B’s in the Old Harbour Area and many more in the older part of Hermanus. 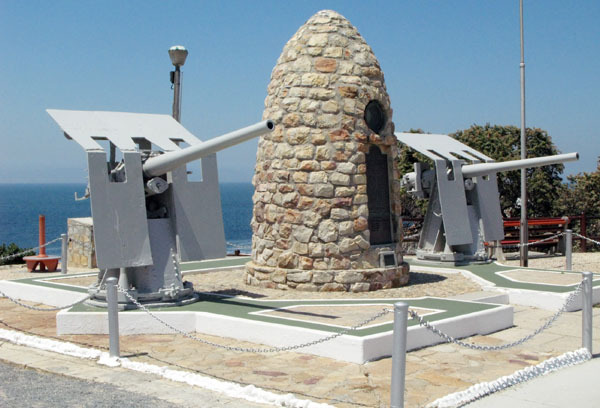 As I said at the beginning of this post Hermanus is a really interesting place to visit and there is much to show and comment on. 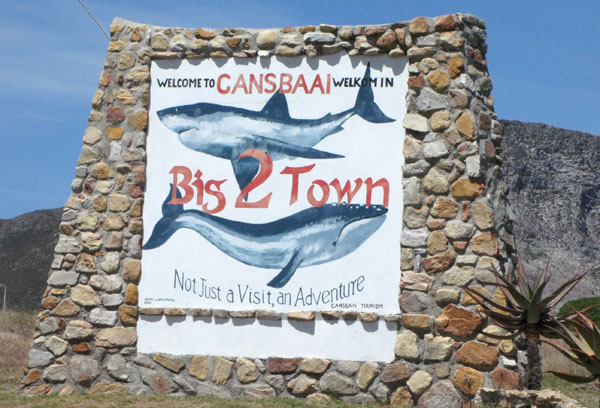 For this first part of my visit I have tried to cover what the average tourist would get to see if they came for a 1 day visit and will show more in my next post.